Based on the American author Walter Lord's book of the same name, the movie relived the fateful night when the Titanic sank on 15 April 1912. As the video explains, Belfast man William MacQuitty had a better reason than most to take on the project as producer in 1957. 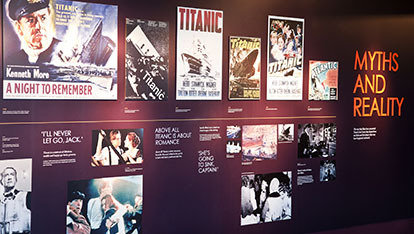 Celebrating his work and that of many others is Gallery 8 in Titanic Belfast where all Titanic-themed movie posters are displayed, proving what a cultural impact this maritime tragedy had. Another Titanorak and Titanic Stories fan is Jackie Jones, who writes, "A Night to Remember will always be my favorite movie about the sinking of the Titanic. Such realism."